The Dalmuir wastewater treatment plant is operated by Saur Glasgow on behalf of Scottish Water, Scotland’s national water and wastewater treatment services provider. The plant is operated under a 25-year PFI (Private Finance Initiative) contract. 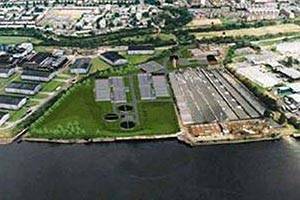 The Dalmuir wastewater treatment plant in Glasgow serves 2 million of the city’s residents. Saur Services Glasgow has operated the plant since 2001, and invested £2.5 million in accelerating the treatment process, improving plant maintenance efficiency, and reducing odour pollution through the introduction of an odour prevention plan. The plant will soon be tracking its environmental footprint on a day-by-day basis.